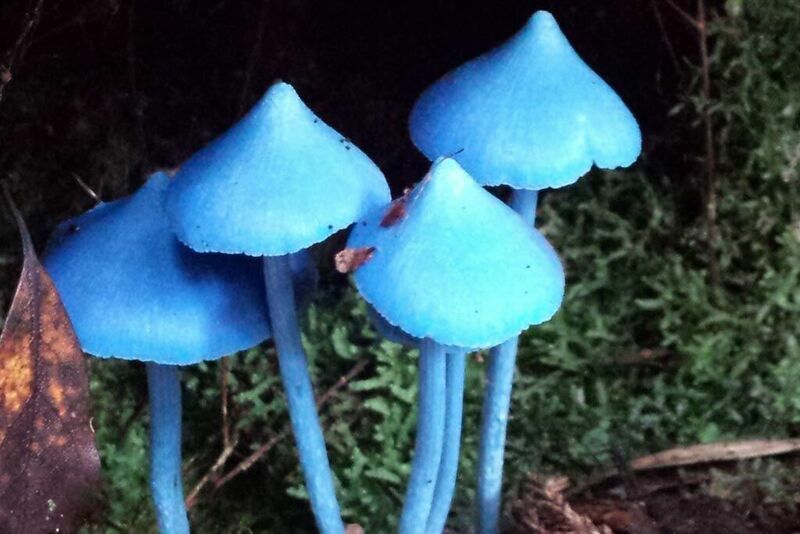 The blue mushroom is native to New Zealand and you may recognise it from our $50 note. It is featured with the kokako that has blue wattles and apparently they are blue from rubbing on the blue mushrooms. The blue mushroom is commonly found in moss or the leafs on the canopy floor and it is still not known if the mushroom is poisonous or not. The stinkhorn is a very interesting type of fungi as the fruiting body emerges from the ground as an egg like structure. At some stage in development the stinkhorn is covered with a foul smelling slime which can be smelt from a few meters away. They can be very different in their appearances but they all share these two distinct features. 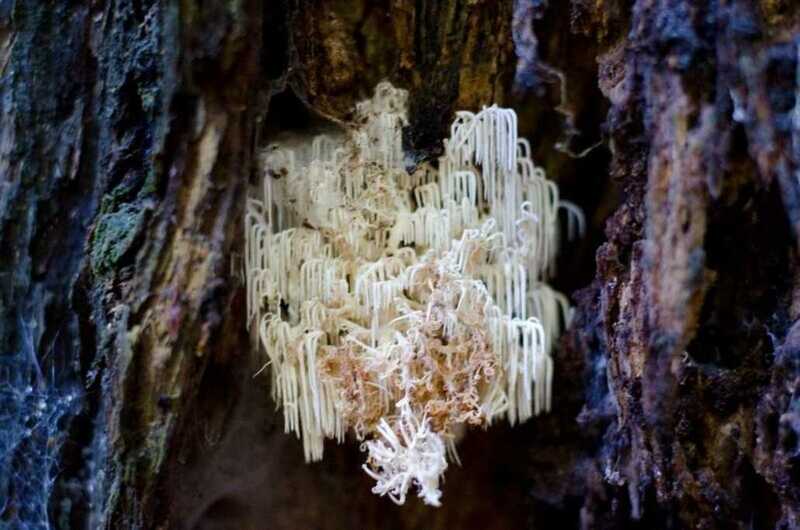 This type of fungi is white and fleshy and grows on dead or dying wood. The fruiting body resembles icicle-like spines. This fungi is edible and apparently when it is cooked it is delicious and tastes like lobster. It is a very common native forest fungi in Rotorua so keep an eye out for them. 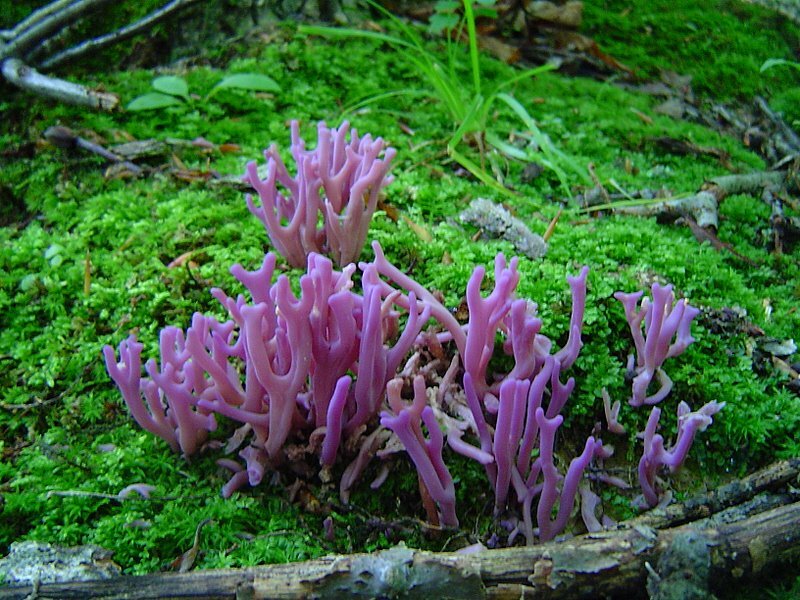 This purple coral fungi is a rare species and was only found in our forest this year. The fruit bodies can grow up to 10cm tall and are violet but become dull grey/brown when they are old. Look out for it on your Eco Tour - it will typically be found growing on the ground in the woodland litter. This is the common name given to several different species of fungi that attack and kill the roots of many woody and enduring plants. The most common characteristic of honey fungus is white fungal growth between the bark and wood at ground level. Sometimes in Autumn clumps of honey coloured toadstools appear on infected stumps. These are amazing due to how many appear in our forest! How many types can you spot on a Rotorua Eco Tour? See how many types of fungi you can spot when you embark on a eco tour with Rotorua Canopy Tours - your guide will help to point them out on the forest floor.